Dimensioni di questa anteprima PNG per questo file SVG: 800 × 576 pixel. Altre risoluzioni: 320 × 230 pixel | 640 × 461 pixel | 1 024 × 737 pixel | 1 280 × 922 pixel. 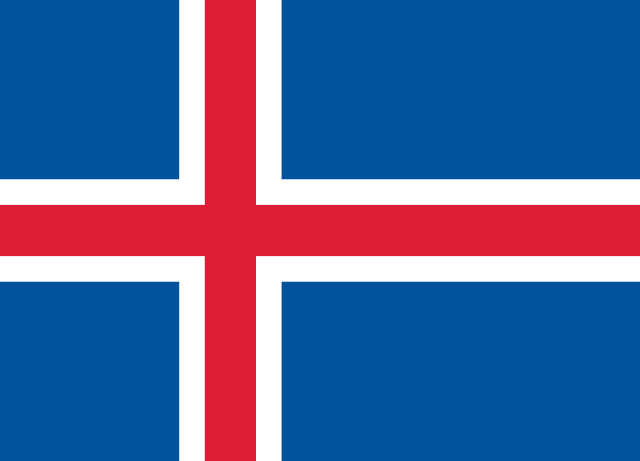 English: The Flag of Iceland. This image is in the public domain in Iceland because section §49 of the Icelandic Copyright law specifies that images not considered to be "works of art" become public domain 50 years after creation (details).